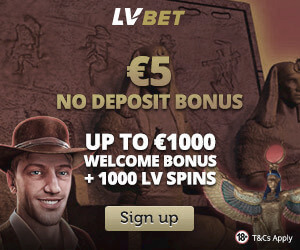 Videoslots offer over 3000 slots, they have the biggest supply of slots on the net and is said to be the biggest online casino in the world. It was founded in 2011 and was created by casino players. It is a Swedish casino, which has become very popular. There are 2 things that are unique with Videoslots; it is the amount of slots and something they call Battle of Slots. Battle of Slots is “social competitions”. Players compete against each other in a game with the same amount of spins. You can chat with other players and prices are given to top-placements. The staff are guarding the chat, so nobody writes anything offending or improper. Battle of Slots tournaments go on every day and are very popular. We think Battle of Slots is very fun and it is something that we recommend for those, who like to play on a casino. They also offer something they call Weekend Booster. It means that you get cashback, that you don’t need to wager every friday. You will get more cashback if you play more every friday. The casino regularly writes news to keep you updated. You find the latest news under (latest news). It’s a big casino that feels quite mighty. 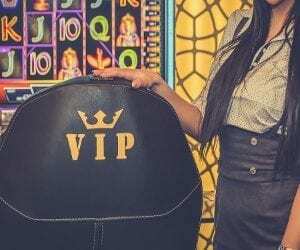 We on NetEntCasinoNoDepositBonus think that VideoSlots is a Topcasino and especially recommend Battle of Slots, which actually is really amusing! GBP, EUR, SEK, NOK, USD, AUD. Netent, Microgaming Quickfire, Williams Interactive, GamesOS, Play´n GO, NYX, Betsoft, Yggdrasil and many more. They have a department who takes care of people who have qualified for the loyalty program. If they discover that you qualify. They will contact you immediately. A very safe Casino with MGA and UKGC license. They Will be implementing, PKR some time this year(2018). It is an online poker room where you play in a 3D virtual reality setting. Availability of payment and withdrawal methods may vary depending on currency and country. Afghanistan, Algeria, American Samoa, Angola, Argentina, Australia, Bahamas, Bahrain, Bangladesh, Belgium, Bosnia & Herzegovina, Bulgaria, Burma, Cote d’lvorie, Cuba, Cyprus, Czech Republic, Democratic Republic of the Congo, Denmark, Egypt, Estonia, Eritrea, France, Fiji, Guam, Guyana, Haiti, Holy See (Vatican City State), Hong Kong, India, Iran, Iraq, Israel, Italy, Jordan, Kazakhstan, Kenya, Kuwait, Kyrgyzstan, Lao PDR, Lebanon, Liberia, Libya, Lithuania, Marianas Islands, Mozambique, Myanmar, Nigeria, North Korea, Papua New Guinea, Pakistan, Palestinian Territory, Panama, Poland, Portugal, Puerto Rico, Qatar, Romania, Reunion, Rwanda, Saudi Arabia, Senegal, Singapore, Somalia, Spain, Sri Lanka, Sudan, Syrian Arabic Republic, Tanzania, Turkey, Uganda, U.S. Minor Outlying Islands, U.S. Virgin Islands, Ukraine, United Arab Emirates, United States of America, Vanuatu, Venezuela, Vietnam, Yemen and Zimbabwe. Videoslots offers a huge collection of the best slot games around. With more than 2000 games, they are the largest online gaming house in the world! 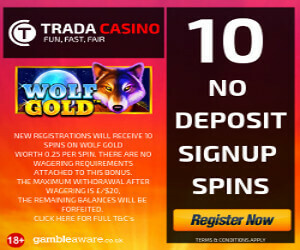 Sign up today and you’ll get 11 real money rounds, without deposit! 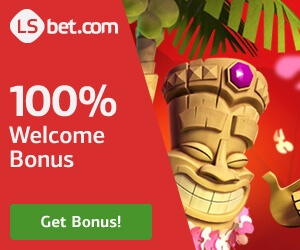 As a new member, you’ll also get a 100% deposit bonus of up to €200! This means that you will double your balance in an instant. Click here and get your gift today!